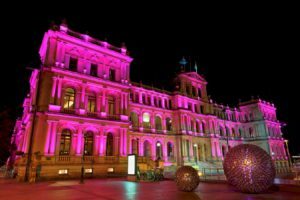 Member of the Star Entertainment Group, Treasury Casino is housed in Australia’s grandest heritage buildings, the Treasury Building, which was built in the early 19th century in Edwardian-Baroque style. Gaming machines at Treasury Casino include traditional poker or spinning reel machines (also known as pokies in Australia), and hyperlink machines. Apart from the table game classics such as blackjack, poker, roulette, dice games or baccarat, you’ll also find electronic table games including Rapid Mini Baccarat Fusion, Rapid Roulette Fusion, Vegas Star Baccarat, Vegas Star Roulette, Vegas Star Sicbo. Rapid fusion games allow players to play 4 different live games at the same time. If you’re looking for the ultimate VIP gambling experience, the Treasury Casino in Brisbane offers four exclusive VIP gaming rooms. These premium rooms each have a different name (The Club, The Suite, Sovereign Room, Sapphire Room) and are available for members pertaining to a certain loyalty tier. For example, the Sovereign Room is exclusive to Absolute Black Tier and members of higher tiers. 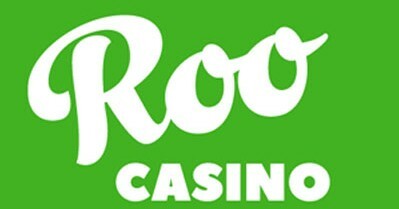 The VIP rooms are open 24/7 and members can take advantage of certain casino comps such as free beverages or a free buffet. Electronic table games and gaming machines are available in these VIP rooms as well. Treasury Casino organises six different types of poker tournaments throughout the year. Some tournaments are held regularly, for example, the Deep Stack Texas Hold’em Tournament is organised on the first Sunday of each month, while other exclusive tournaments are usually organised a few times per year. For those looking for cash games, the Treasury Poker Room offers No Limit Texas Hold’em Poker, Omaha Poker or Texas/Omaha Rotation games on a daily basis. At Treasury Casino & Hotel, you can experience a unique gastronomical adventure. With six restaurants and five bars, the Treasury Casino & Hotel is ready to cater to all your gastronomical fantasies. The 5-star Treasury Heritage Hotel is without doubt Brisbane’s most charming accommodation. 127 elegant suites complete with all the modern luxuries await travellers from all over the world. The idyllic setting of the hotel allows you to mix business with pleasure, and truly enjoy every minute of your stay. Whether on a business trip, a weekend getaway with your significant other or any other occasion, your stay at the Treasury Casino & Hotel will be an unforgettable experience. You may want to read another of our reviews of Jupiters casino in detail.